We use weather applications to check the weather on our smartphone and it is natural that this kind of information, represented in a simple and fast and now it can be viewed on your wrist too by a smartwatch. 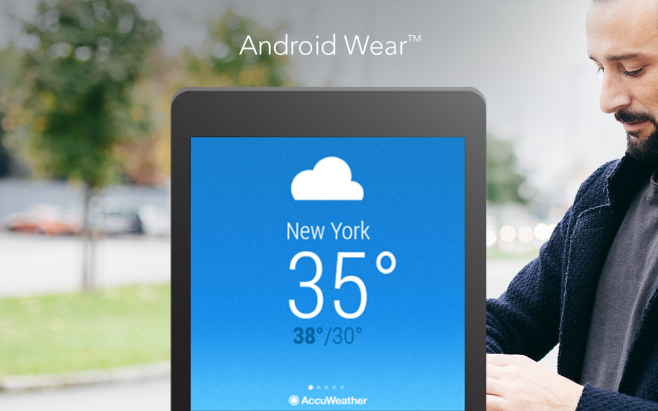 AccuWeather updated its app introducing full support to Android Wear. It is a real app, not a card sticking out from time to time, and although it can not provide the same amount of data that the app on smartphones offers us, but is good to check the predictions on the fly, even with requesting them our voice. The feature is under rollout with the latest update is that the free version of the paid of AccuWeather, downloadable via the two places badge below.